I had heard a lot of Billy Joel songs, "Piano Man", "It's Still Rock And Roll To Me", "Just The Way You Are" and a few more so I knew about him. Upon research I gained more respect for the man, from humble beginnings and a few upheavals he remains one of the best singer songwriters of all time. 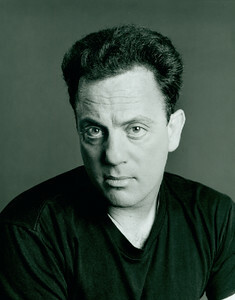 In 1983 I heard "Tell Her About It" and the mega hit "Uptown Girl" and for the first time I bought a Billy Joel album. In 1983 I was open to all genres of music so when I had "An Innocent Man" I pretty much played it to death and bought his Greatest Hits Vol 1 and 2 set soon after to hear more of the man. The album had Soul, Motown and 50s and 60s tributes all over it, catchy songs and emotive ballads that made Billy an 80s global star. The album had 10 songs and 7 were released as singles, although in hindsight maybe that was too much as by the time the secenth single came pretty much every household already had the album! The first single, "Tell Her About It" became Billy's biggest hit in the UK (before "Uptown Girl" gave him his first and only number 1) and reached number 4. The great authentic Motown feel with harmonious vocals like the classy singing groups The Supremes and The Temptations with a catchy chorus captured the ears instantly. "Uptown Girl" as previously stated arrived and hit top spot, accompanied by a video featuring model Christie Brinkley, who Billy later married. Said to be an homage to Frankie Valli and the Four Seasons, it was a great song which gave every "backstreet guy" the hope of finding an "uptown girl"! 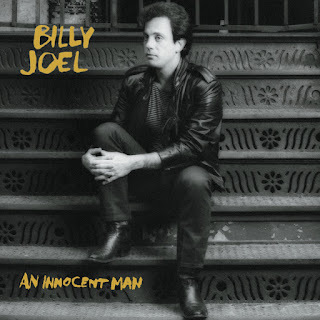 The title track was the next single, "An Innocent Man" was a slower ballad style compared to the uptempo beats of the previous singles. The 50s style of The Drifters (of whom my dad was a big fan) sounded great to me and brought back some memories of secretly playing the band's hits on old vinyl. The song continued Billy's Top Ten success and reached number 8. "The Longest Time" only reached number 25 and was again another different style and genre. A classic Doo-Wop song complete with finger snaps and hand claps and various harmonic vocal backing. The crazy thing is, these songs are usually made by vocal groups but Billy decided he wanted to do all the backing himself including the percussive elements and vocal ranges. 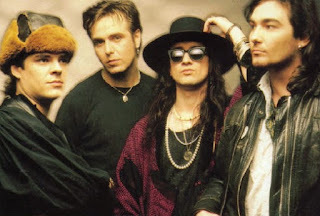 "Leave A Tender Moment Alone" was the 5th single from the album and only reached 29, this was probably when the single releases maybe should have stopped. This song reminded me a little of a Stevie Wonder style song, a gentle Motown and Soul number. The next single "This Night", is probably the the "filler" song for me, not that it is bad but the other songs are so great. Notable for its use of Beethoven's second movement "Pathetique Sonata" in the chorus of the song. The final single from the album did not even chart in the UK. "Keeping The Faith" is Billy reminiscing about the 50s lifestyle and how things were not always great but he's "keeping the faith" in that the future will be alright. 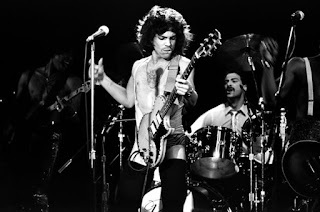 "Easy Money" is a Soul/Funk foot stomper, in the style of James Brown and one of my favourites, and maybe could have been a single but as I said maybe there were just too many great tracks on this album. "Careless Talk" is a 50s style Doo-Wop/Motown track in the style of Sam Cooke with little elements of The Drifters. "Christie Lee" is a fast paced piano led Rock N' Roll track, think Little Richard or Jerry Lee Lewis. Add some brass and this is a great track which sounds like a proper jam session where everyone is having fun.